Welcome to our new look website! 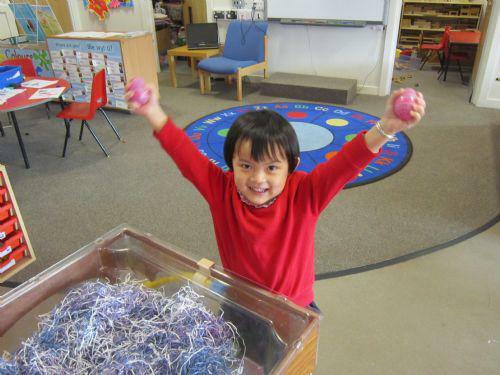 We have been having lots of fun in Nursery! We have enjoyed listening to the story about The Very Hungry Caterpillar. We used sponges to print to make caterpillars. We also made caterpillars using cucumber and tomatoes and then we enjoyed eating them! Teaching Assistants: Mrs Romanelli, Ms Campbell-Jones, Mrs Blackmore, Miss Mackay and Mrs Camilleri. Welcome back to a new half term at Pencaerau Primary School. We hope you have had a lovely holiday and are looking forward to starting this busy and exciting half term as much as the staff. At Pencaerau we aim to create a rich, stimulating environment where children are encouraged to think for themselves, solve problems and become active independent learners. We have been hunting for eggs with the same pattern. We were very excited when we found two that matched! 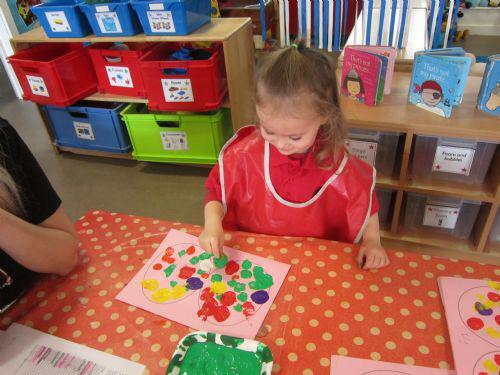 We also had great fun printing with a pom pom to decorate our Easter egg cards. We dressed up as our favourite characters to launch our school book fair. We looked fantastic in our costumes! We have been learning about farm animals and the names of baby farm animals. We have enjoyed singing Old Macdonald had a farm too. We have had some sunny days this week and we have had a lovely time exploring our outdoor area. We have been very busy learning about all things Welsh. We pretended to make cawl in the water tray. We made our own soup. We made Welsh cakes using playdough. We wore our Welsh costumes and rugby tops to celebrate Saint David's Day and we even had a Welsh Dragon! 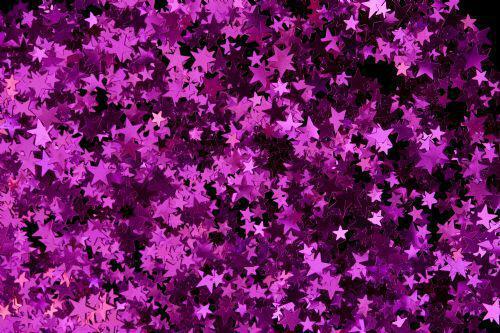 During this topic we will be learning about lots of different things that sparkle, glow, reflect, shine and glitter. We will be exploring light and dark in our role play area and using the light box to explore shapes and objects. We will also be learning about Diwali, the festival of light. The children will take part in lots of activities related to Christmas and read such stories as The Jolly Christmas Postman. Our topic will end with the mystery of the 'Lost Presents'. This week we performed as angels and reindeer in our Christmas concert of 'A little bird told me'. We really enjoyed dressing up and having our families come into school to watch us sing! We also made some Christmas tree decorations to sell at the school fayre. We enjoyed listening to the story of 'The Jolly Christmas Postman' and had fun working together to wrap up lots of different sized parcels. We have been very busy this week learning our songs for our Christmas concert. We have enjoyed playing with glittery playdough to create Christmas scenes and we've been sorting different coloured baubles using tweezers. We really liked laying on our bellies and practice our mark making on a big roll of paper! We have read the story of the 'Rainbow Fish' this week. We learnt all about his sparkling scales and how he had to share them in the story. We have been trying hard to be kind and share with our friends. We made our own Rainbow Fish and made under water scenes using shiny stones, seaweed and fish. We enjoyed practicing some letters from our name using colourful sand! This week we have been exploring our new role play area looking at shapes using the lightbox and sorting everyday objects that shine. 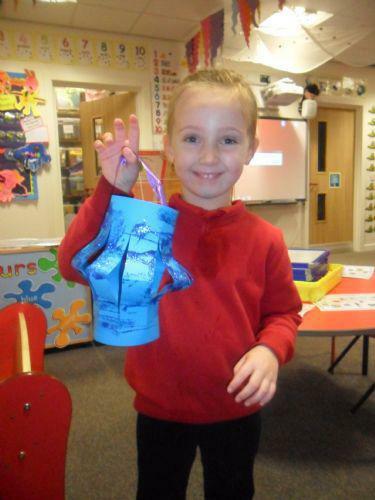 We have also learnt about the festival of light, Diwali and we made lanterns to celebrate this. We had some unusual visitors to our class this week when 'Zoolab' came in to visit us! We met Shelbi the snail, a tarantula, a snake and lots more creepy crawly animals! Some of us were even brave enough to touch and hold the animals. We have had a fun Monster themed week. 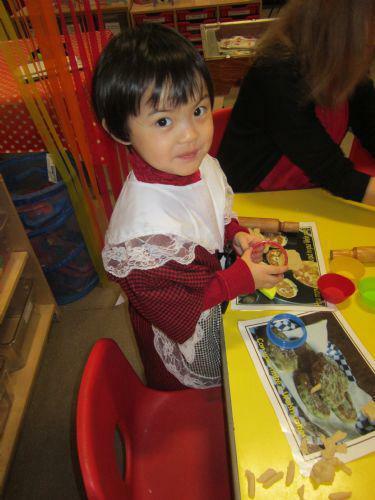 We really enjoyed at our monster's tea party where we had lots of yummy food and played some party games. We all enjoyed going on a colour monster hunt outside and designing and painting our own colour monsters in class! We also talked about bonfire night as lots of us went to see firework displays. We made edible chocolate sparklers to take home and used sparkly playdough to make our own firework displays!